Wow I’m so pleased to have met such a professional team. They go above and beyond to help. To anyone that needs his service. Just know you are in great hands. Thank you Cynthia for all your help… Mr. Lugo thank you and God bless – Elia B. When you are in the midst of a legal problem, you need to know that you have a skilled and experienced attorney who will not rest until your case as been resolved as advantageously as possible. This is exactly what you get at The Law Offices of Alejo Lugo & Associates. After more than 15 years of experience, we know the law and we know how to make it work for you. Have you been injured due to someone else’s negligence? We will fight to hold them accountable for your suffering. We provide aggressive representation to protect your rights and resolve your criminal case as quickly and beneficially as possible. Whether you need help with routine paperwork or an urgent deportation defense, we’re here for you as your immigration lawyer. For a caring but firm attorney who will fight for your best interests during a divorce or custody battle, choose Alejo Lugo. Call us 24/7 at 951-276-1529 or fill out the form below to receive a confidential initial consultation. Do you need to locate a loved one who has been arrested? The resources on this page will help you contact county jails and state prisons to check the lists of those currently being held. 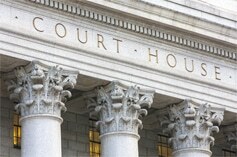 The Law Offices of Alejo Lugo & Associates can represent you in matters involving any of our local county courthouses. Find a list of courthouses and contact information here. Our team is dedicated to fighting for your Rights. You will always have easy access to your attorney should you have any questions about your case or need urgent assistance. Our reputation for professionalism means you can rest assured that your case is being handled properly at every stage. You can expect to treated with compassion and respect at our firm. We are very aggressive in taking appropriate legal action for your case. To learn more about how we can help with your specific situation, contact us for a free consultation in English or Spanish. Moving Family Members To the U.S.
Wow I’m so pleased to have met such a professional team. They go above and beyond to help. To anyone that needs his service. Just know you are in great hands. Thank you Cynthia for all your help… Mr. Lugo thank you and God bless. The Law Offices of Alejo Lugo & Associates is a fully bilingual firm offering superior quality representation in English or Spanish. We specialize in personal injury law, criminal defense, immigration, family law and other specialty areas. We sincerely care about each and every client’s needs and future.